Ok ladies, let me let you in on a secret. Never stop dating your husband. When you first met, you took care to wear the right outfit, do your hair just so and wear make up to look good for him, but as time went on, it became easier to forget about the makeup, pull your hair up into a pony tail and pull on your sweats. That look is fine for cleaning the house or doing yard work, but does your husband ever wonder what happened to the stylish girl he married? I’ll be the first to admit that I got a bit lazy with this. I work from home and used to just roll out of bed, grab my coffee and head to the office. My husband would get home from work and I would still be in my pajamas. He said he didn’t mind it, but every now and again, he would say something to let me know, subtly, that he noticed I wasn’t making much of an effort anymore. Now, I get up and go straight into the shower and dress. It makes a huge difference in how I look and feel when my beloved gets home from work. He’s noticed it, too and he appreciates it. 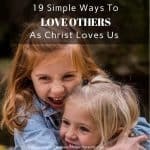 When we are newly dating, we also tend to compliment and encourage our sweetheart more often than we do as the married months and years roll on. 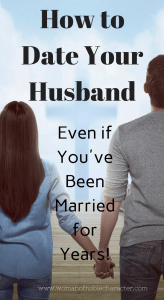 Make a conscious effort to praise and appreciate your husband for something every single day – be it how hard he works for the family or the great job he did mowing the lawn. Words of affirmation may just be his love language and may mean more than a freshly baked cake to your hubby. So much to do and so little time! 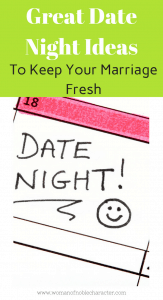 The house, work, kid’s activities – how the heck can I fit in a date night with my husband. My question for you is: how can you afford not to? Time invested in your spouse and your marriage will generate huge dividends in the long run. Time for the two of you to reconnect and talk. Time to laugh alongside one another. Time to enjoy a shared hobby or interest. It almost doesn’t matter what you do – as long as you do it. 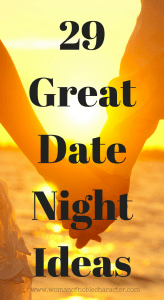 A date night can be weekly, if you are in a season of life that allows that (and you have a responsible, reliable babysitter if your kids are young) or it can be every other week. A date night can be dinner or bowling or a walk in the park. It can be visiting a museum or street festival or it can be much simpler than that: a quiet night at home. Below, I have listed a bunch of date night ideas for you. I’ve shared both out of the house (for money and for no money) and date night ideas for home. 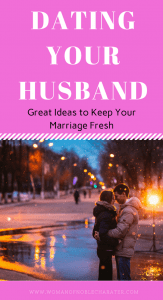 For more great ideas, that are nearly done for you, take a look at the Little Book of Great Dates: 52 Creative Ideas to Make Your Marriage Fun from Focus on the Family. I love these creative ideas for dating your husband. I pray that you will plan a date night with your husband for this week and enjoy the rewards that time alone together can provide. This isn’t just for couples with kids at home. Couples who are empty nesters seem to struggle with this one just as much. They think “it’s just the two of us, we are alone every night together”, but when you are home alone, are you spending time invested in your marriage? Are you doing things together? Are you talking with each other? Are you laughing with each other. Empty nesters, I encourage you to plan a date night this week, too. Fondue—everything is better with chocolate! Make organizational projects to help with the clutter at home. What did you do or say when you were first dating that you no longer do? What can you change today to start dating your husband again? 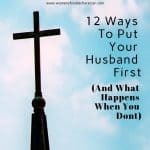 To learn more about developing an attitude of gratitude for your husband, see this previous post. I think this is a great idea for young couples needing a break from the routine of work, household responsibilities and raising a busy family life entails. BUT what about retirees, those married over 50 years? Hi, Lynn – I’m not sure I understand. My husband and I are an older couple. Our children are grown and we have grandchildren. We still actively try to “date” each other through word and deed. 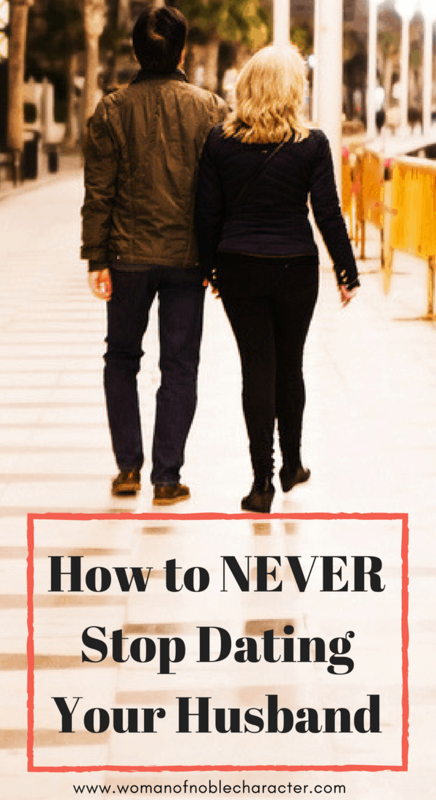 Dating doesn’t have to stop no matter your age. My in-laws are in their upper 70’s and still date each other. 🙂 Thank you for stopping by! My ABSOLUTE favorite is doing a home improvement project together! I love accomplishing things so it kills two birds with one stone for me! But If we can’t afford to take on afford to take on a big project, sometimes we just walk through home stores and daydream! Also great! Hi, Jodi! That’s so much fun – working on a common goal together! My hubby and I do our best day dreaming while in the car – either way – it’s quality time that is so important. Thanks for stopping by! I love the idea about bath with the glow sticks. I just purchased a number of them on sale. I’m sure our husbands will appreciate the little things we do for them. We have to show them we appreciate them or someone else will. Little becomes much when you place it into the Master’s hand. Show him!